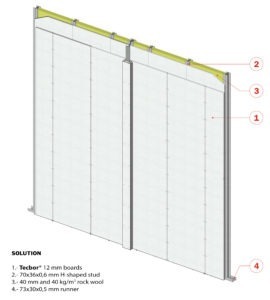 Both solutions are made with Tecbor® Boards. 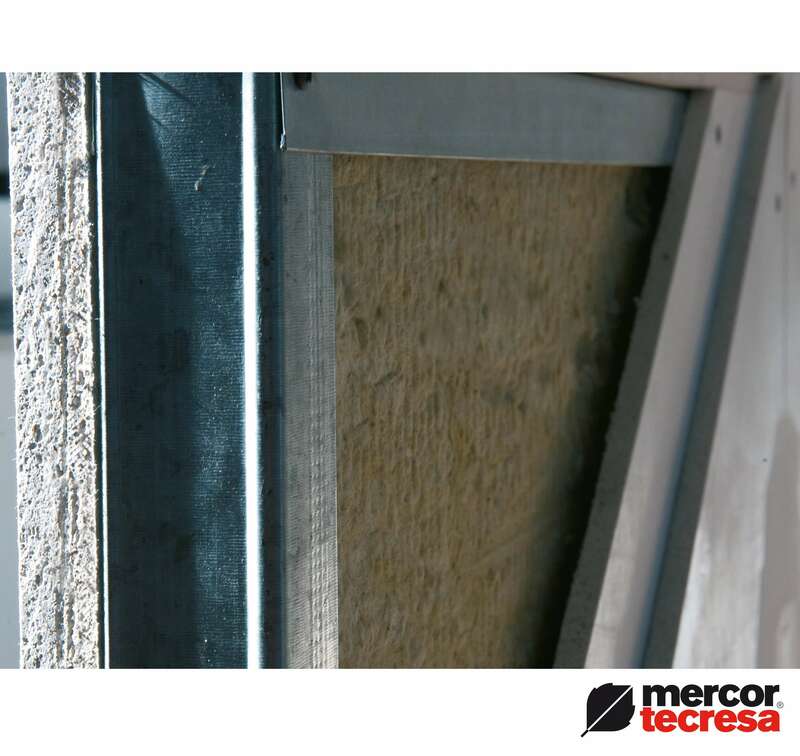 The first option is made of two 12 mm Tecbor® Boards. The second one, with two 15 mm Tecbor® Boards + 1 laminated plasterboard of 13 mm, which will give a better finish and joint treatment. A common error when carrying out a fire protection solution is to consider that attaching one of those EI-120 systems to a metallic structure will guarantee an R load bearing capacity. It is not correct. When these systems are tested, they are made under the UNE EN 1364-1 standard: Fire resistance tests of non-bearing elements. 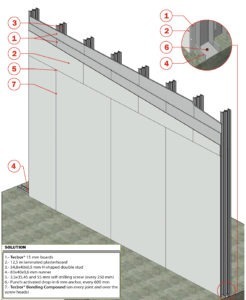 Part 1: Walls. The metallic structure protection tests are carried out under the UNE EN 13381-4 standard: Test methods to determine the contribution to fire resistance of structural elements. Part 4: Passive protection applied to steel elements. This latter type of test is performed on a series of standardized steel pillars and beams subjected to structural loads, while the wall lining tests do not bear loads more than their own weight.